Workers compensation is an accident insurance program paid by an employer which may provide an employee with medical, rehabilitation, and income benefits if the employee is injured on the job. Workers compensation insurance is a mandatory type of insurance carried by many businesses. Get a workers compensation insurance quote with Lanmar Risk Advisors' LLC and better protect your business from medical costs for an employee who becomes injured or ill on the job. Workers compensation insurance is required by law in Georgia for businesses with three or more employees. 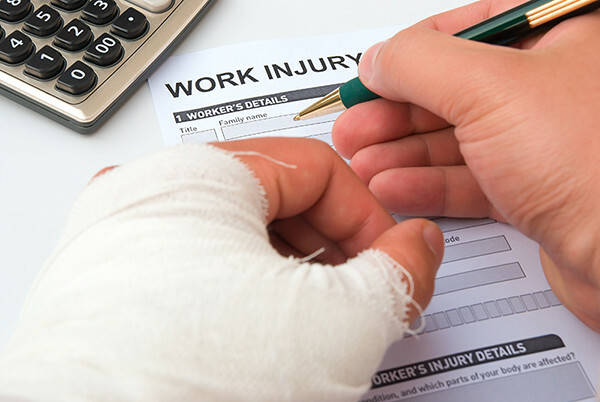 These laws are designed to ensure payment by employers for some part of the cost of injuries, or in some cases, occupational diseases incurred by employees in the course of their work. Workers compensation insurance can also protect your business from being sued by employees for workplace conditions that can cause an injury or illness. Workers compensation basics Workers compensation insurance typically only covers injuries or illnesses when they occur as a result of duties performed on the job or while at work. Examples of injuries that may be covered by workers comp include injuries caused by lifting heavy equipment, slipping on a wet or oily surface, or sustaining injury due to fires or explosions. Many state workers compensation programs do not provide coverage for injuries that occur while an employee is not acting within the scope of employment - such as playing football with friends on a day off. How long does an employee have to work to be covered under Workers Compensation? Employees are covered from the first day on the job. How do you know if a company is covered by Workers Compensation? The law requires any business with three or more workers, including regular part-time workers, to have workers compensation insurance. Coverage can be verified by going to www.sbwc.georgia.gov and click on "How Do I verify an employer's workers compensation insurance coverage". When should I report an accident that happened on the job? You should report any accident occurring on the job to your insurance company immediately. What do I do about doctors for my employees? Post a Traditional Panel of Physicians consisting of a minimum of six doctors. Your employee may choose any one of the six. However, the Board may grant exceptions to the required size of the panel where it is demonstrated that six physicians or groups of physicians are not reasonably accessible. The panel must include one orthopedic physician and not more than two industrial clinics. Where possible, a minority physician must be included. Your employee may make one change to another doctor on the list without your permission. Post the name of the Workers Compensation Managed Care Organization (WC/MCO) certified by the Board which you have contracted with to provide medical services. You must give a notice of the eligible medical service providers and post a 24 hour toll free number for the managed care organization. A managed care representative will assist your employee in scheduling an appointment with the eligible medical provider of their choice. Your workers compensation insurance carrier will pay for your authorized medical treatment, if the treatment was for an on-the-job injury. All authorized doctor bills, hospital bills, physical therapy, prescriptions, and necessary travel expenses if the injury or illness was caused by an accident on the job. All injuries occurring on or before June 30, 2013, shall be entitled to lifetime medical benefits. If the accident occurred on or after July 1, 2013 medical treatment shall be limited to a maximum period of 400 weeks from the accident date. If your employee's injury is catastrophic in nature, they may be entitled to lifetime medical benefits. When do my employees get benefits? The employee is entitled to weekly income benefits if they are unable to work for more than 7 days. Their first check should be mailed to them within 21 days after the first day they missed work. If they miss more than 21 consecutive days, they will be paid for the first week. How much will are weekly benefits? The employee will receive two-thirds of their average weekly wage, but not more than $575.00 per week for an accident which occurred on or after July 1, 2016. What if my employee is able to return to work but can only get a lower paying job as a result of their injury? They will receive a reduced benefit based upon their earnings for a maximum of 350 weeks from the date of injury. This benefit will not exceed $383.00 per week, if their accident occurred on or after July 1, 2016. How long will my employee receive weekly benefits? If their accident occurred on or after July 1, 1992, they are entitled to benefits for up to 400 weeks. If their injury is catastrophic in nature, they may be entitled to lifetime benefits. In certain circumstances, if they have been released to resume their ocuppation with limitations or restrictions, benefits may be reduced. If they are released to return with no limitations or restrictions, benefits may be suspended. The State Board of Workers Compensation will provide you with Form WC-14 to file a claim. In the metro Atlanta dialing area call (404) 656-3818 and outside the metro Atlanta area call 1-800-533-0682, or write the State Board of Workers Compensation at: State Board of Workers Compensation 270 Peachtree Street, NW Atlanta, GA 30303-1299 You may also obtain a Form WC-14 from the State Board of Workers Compensation website www.sbwc.georgia.gov.